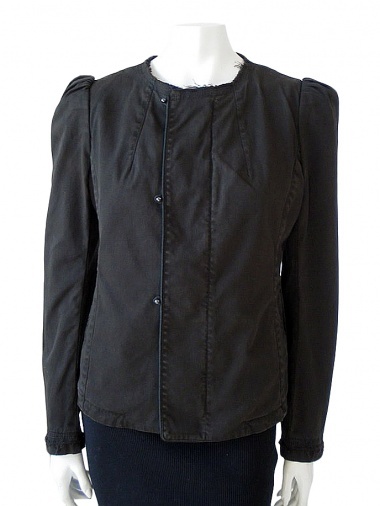 Small tight jacket with puff sleeves. Side fastener with metal buttons with stalk. Particular inlay with flounces and lace decorated with pearls.